Rock and roll was not supposed to last. And rock and rollers still playing in their 70s? That wasn’t supposed to happen either. Regardless of whether you mark the birth of rock and roll with the high steppin’ and hollerin’ entertainers from the Delta in the early 30s like Charley Patton (who was said to play his guitar behind his back) or 1954 when the Hillbilly Cat Elvis Presley made his first electrifying sessions at Sun Records in Memphis, this thing called Rock and Roll was–at best–thought of as a fad. Kids stuff. Something we’d all eventually grow out of. But there was Mr. Casady and his Metallic Gold Epiphone Signature Bass which he designed himself, playing just off-center stage, solo at the Beacon at 8:15 on a Saturday night, with an incredible tone that seemed to amplify not only his flowing sense of melody but a bit of every player he has ever admired. 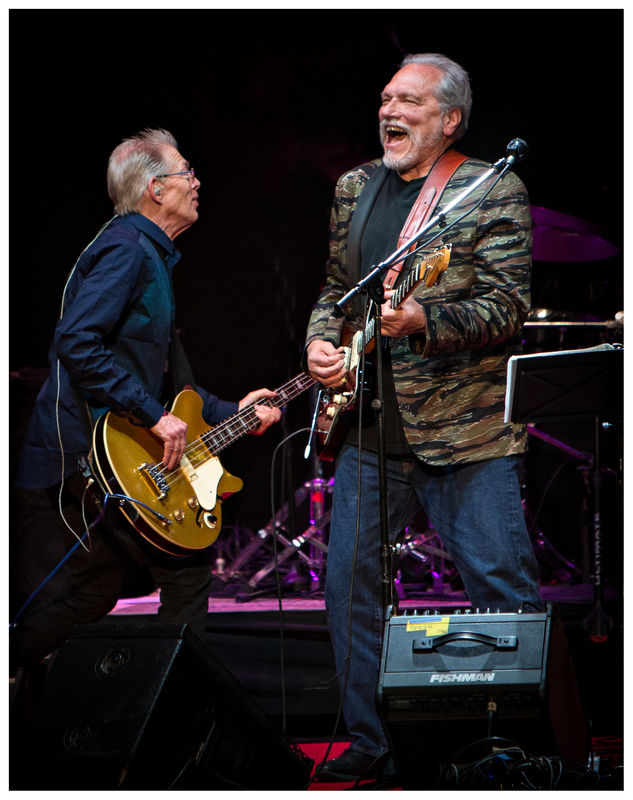 For two hours, Casady stomped, jumped, and raced over the entire stage, engaging every musician as if to say “I hear what you’re doing, and I’ve got something that will help.” It was a Hot Tuna show all the way, but it was also Jack’s night. He was up front in the mix but never boomy, always perfectly balanced, with every note from high to low was articulate–round, strong, and easy to follow. 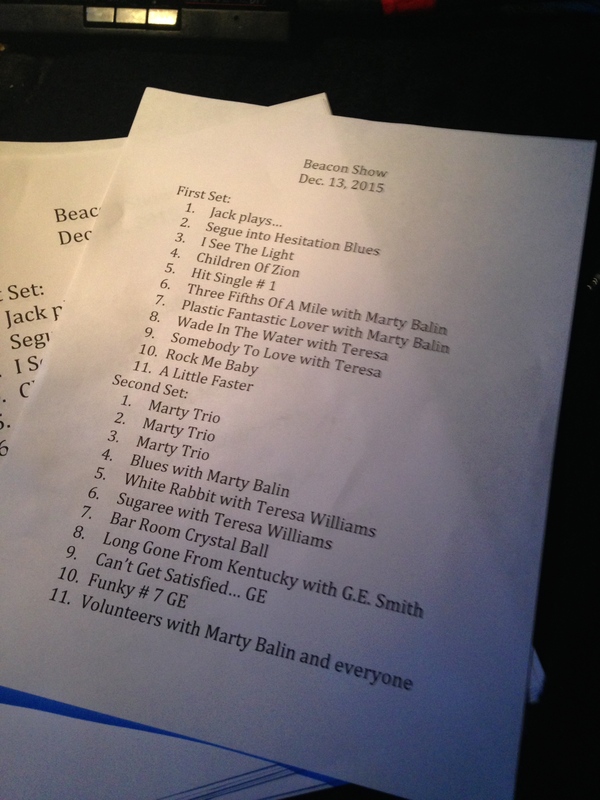 I’ve seen The Who, McCartney, the Stones, and performed at all kinds of venues from basements to the Royal Albert Hall and I’ve never heard a bass tone like Jack put out Saturday night at the Beacon, which for him was probably just another great night out of many more to come. 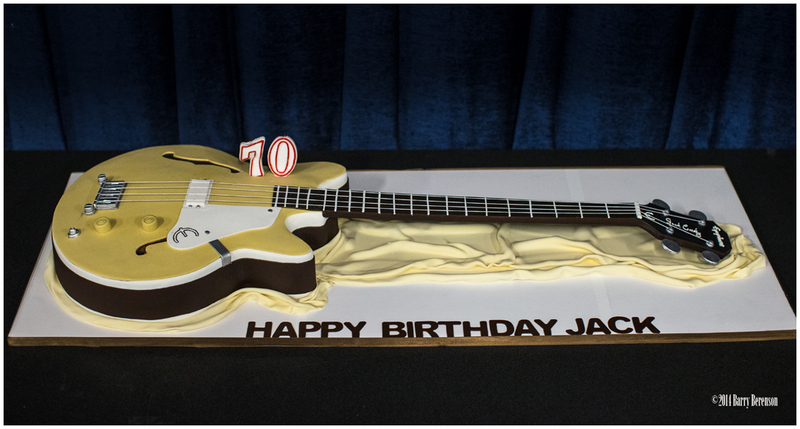 The lighting on stage was minimal, with a blue-toned edge on the wings and at the back curtain which made Jack’s black attire and Gold Metallic bass stand out from any vantage point. 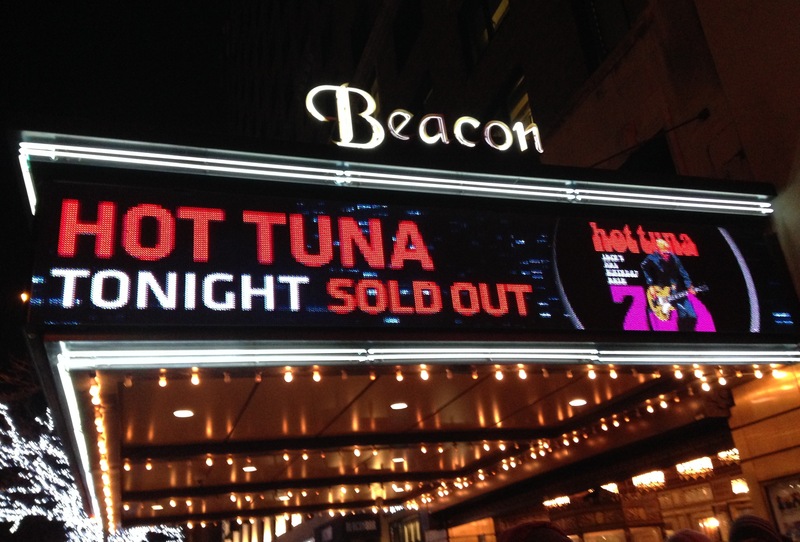 Hot Tuna made it seem like there was no bad seat at the Beacon. The feeling on stage was warm and easy, and the musicians seemed to revel in stretching classic chord structures like pizza dough until they found a new hole to jump through re-invent themselves again. Throughout the night, Casady’s notes retained their tight, round, tone. You could imagine traces of Monk Montgomery, the pioneering electric bassist who backed brother Wes (much to the chagrin of jazz purists) and hip shaking R&B bassists like Duck Dunn, or old friends known only to Jack. Or, maybe it was just the slightly exotic smoke that seemed to be coming from behind me the moment the lights went dim and Jack took the stage. Whatever was going on, Jack’s bass lines flowed constantly for two solid hours with ever-inventive melodies, counter rhythms, and punches. Whatever rock landed in his way, Jack easily made a new path to keep things flowing. It might as well have been Louis Armstrong playing electric bass, really. Hot Tuna’s drummer Justin Guip was excellent and followed Jack’s every move. But by midnight when the show was over, Justin needed a few minutes to himself to recover. Meanwhile, Jack and Jorma (who also had his 70th birthday party at the Beacon) ran straight to the lobby to sign posters. The Beacon Theater on Broadway was designed in 1929 by famed Chicago architect Walter W. Ahlschlager, who also designed the Peabody Hotel in Memphis, where Sam Phillips got his start as a part-time engineer. 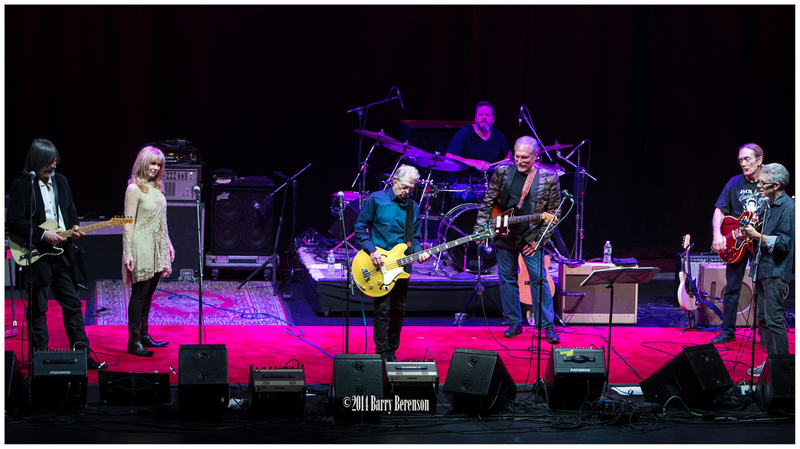 Thanks to the Allman Brothers (who enjoyed over 200 sold out nights there) Hot Tuna, and others, the Beacon has become a destination for fans to hear their favorite musicians turn into seekers and adventurers. 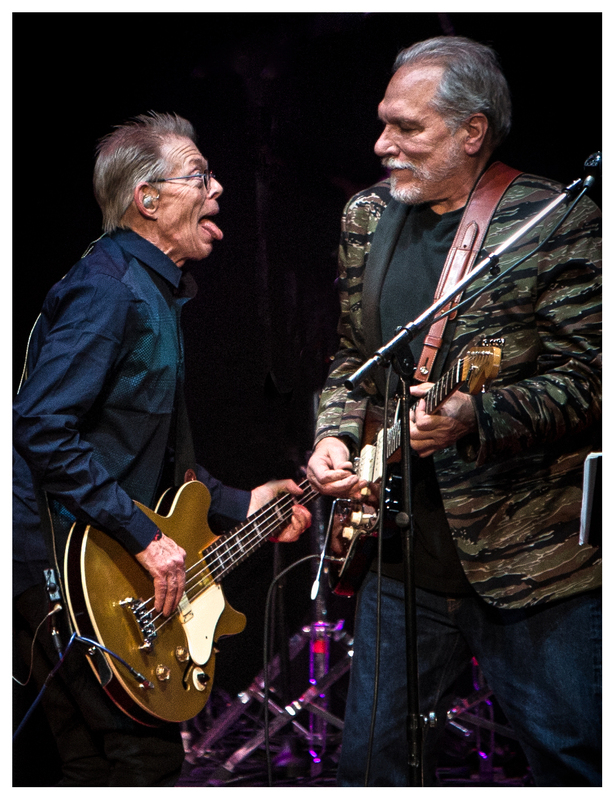 Jack Casady’s birthday was actually in April but that was a minor detail. “Any excuse to celebrate is a good excuse,” said Casady before the show. And this was a serious party. Everyone on stage was after the same thing—feeling, surprise, and freedom of expression. But the show’s heart was Jack who jumped, clawed, stuck out his tongue, and seemed to know when to turn up the heat and when to batten down the hatches. His timing, his tone, and his energy was both loose and totally dedicated. Casady’s birthday night was a tutorial in how to disassemble and re-assemble a song, something he’s been doing since he was a kid in Washington, D.C.
And it seemed all of those artists were there at the Beacon, too on Saturday night. One of the great surprises of the evening for those listening closely and not just dancing (though everybody was dancing) were the Jefferson Airplane songs, which sounded raw, punky, and full of attitude. Somehow, even “White Rabbit” has managed to get a little more scary. Hats off to Teresa Williams, who is now the custodian of the classic and managed to make it contemporary. When Marty Balin closed the night with “Volunteers,” no one was quite sure how the band was going to wind it up, which is certainly part of its charm since it really has no ending. Finally Balin, who up to then had engaged the crowd like a classic entertainer–standing at the footlights and gesturing everybody to be a volunteer–looked at Jack, put both hands on his vocal mic, and belted a serious rock and roll scream that would have pleased and impressed Roger Daltrey (another like-aged rocker who can still deliver the goods). Out of the many 60s legends still working today who are revered for their playing style–McCartney, Pete Townshend, Carlos Santana, Keith Richards, Eric Clapton–only Casady has taken the time to become a teacher and kept his enthusiasm for discovery and re-invention. He’s also one of the few of his generation to have created an instrument from scratch. Casady has made a lot of classic records. He’s in the Rock and Roll Hall of Fame and now at 70, he’s done probably (we hope) all he’d like to do and seen the great places of the world. Go here to read our full interview with Jack.